Michaan’s Gallery Auction on Saturday, May 12th, features a wide array of unique finds. 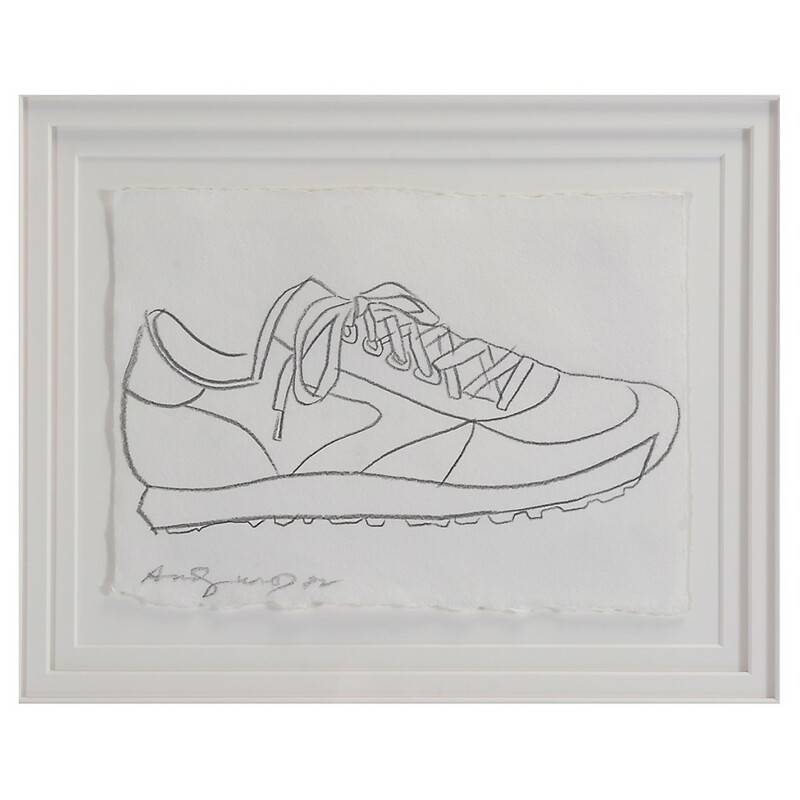 They start with a one-of-a-kind pencil sketch by Andy Warhol titled Sneaker, signed and dated 1982, depicting a running shoe (est. 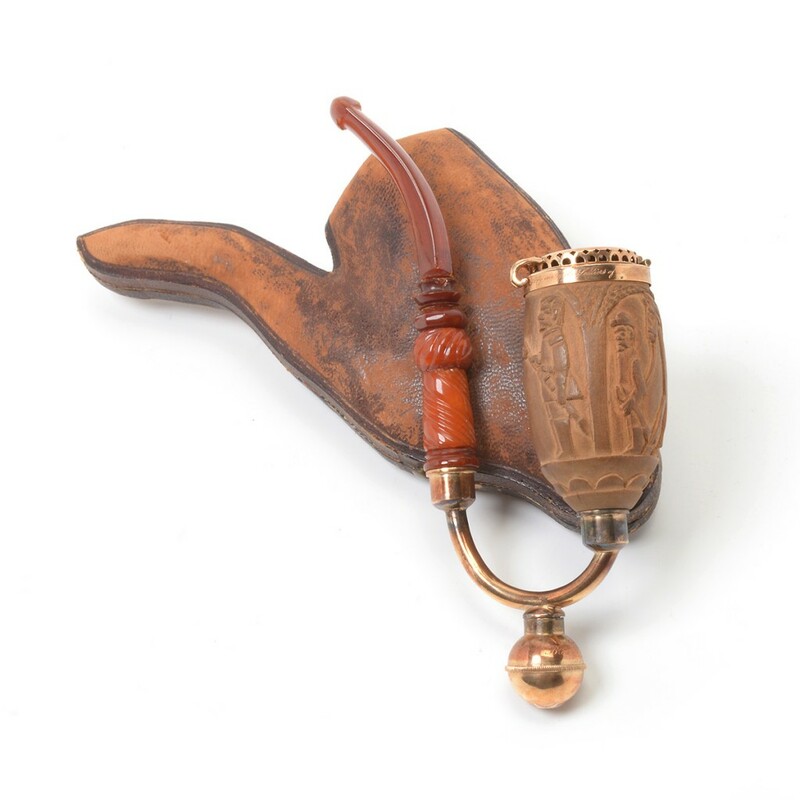 $35,000-$45,000); a Civil War-era gold-mounted tobacco pipe featuring a wooden bowl hand-carved and inscribed by a soldier in the field, with scenes of Lee’s surrender at Appomattox, crafted by Browne & Spaulding (N.Y.) (est. $1,000-$1,500); and a low brass midcentury cocktail table by Philip and Kelvin LaVerne, with a scene from Homer’s Odyssey etched into the surface top (est. $5,000-$7,000). Paintings will include a post-Impressionist landscape by Mario Puccini (1869-1920), titled Landscape with Trees (est. $5,000-$7,000); Portrait of Miss Frazzi by Oscar Ghiglia (1876-1945) (est. $2,500-$3,500); and Lion Statue in the Park by CezaUlgi Liegi (1858-1939) (est. $3,500-$5,500). 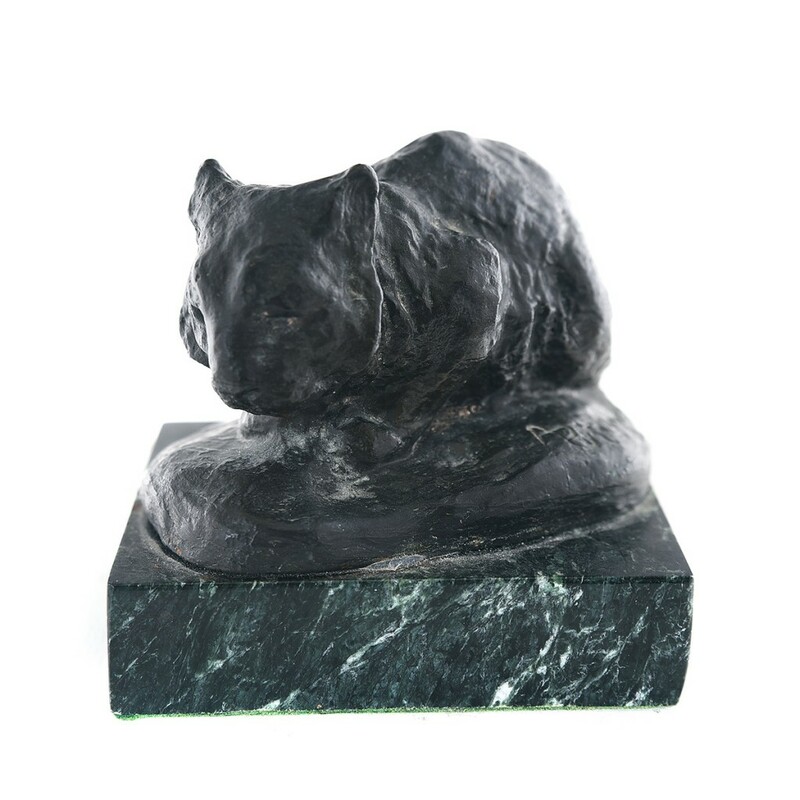 A sketch titled Mio Padre Pietro (1923) by Pietro Annigoni (1910-1988) should bring $1,000-$1,500, while a bear sculpture titled Cub by early California artist Arthur Putnam (1873-1930), should fetch $2,000-$3,000. The auction also features fine jewelry items, plus antique Chinese and Japanese objects and furniture. To see more, click here. I.M. Chait Gallery/Auctioneers will present an international fine arts auction on Sunday, May 20th, at 11 am Pacific time, online and at the firm’s gallery in Beverly Hills, Calif. 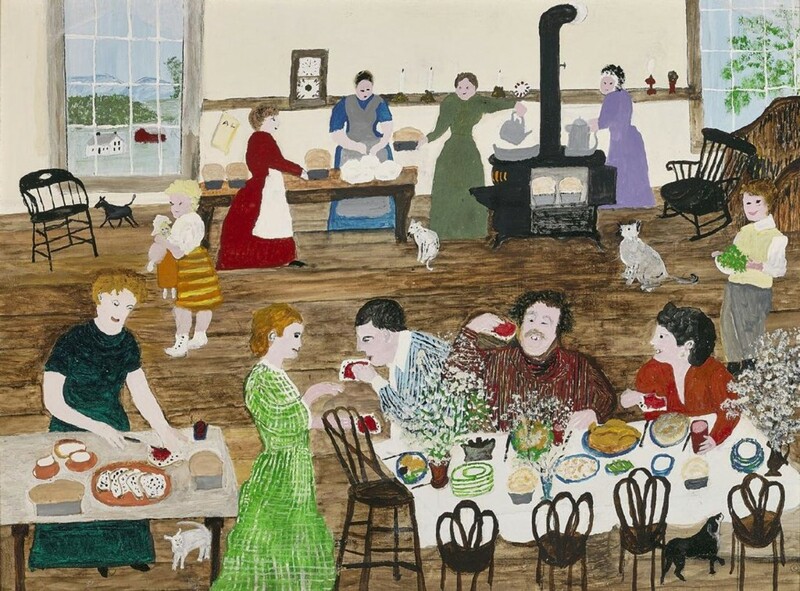 Featured will be a first for the auction house — not one but five paintings by Grandma Moses, real name Anna Mary Robertson (1860-1961), all with provenance to Hammer Galleries, where they were exhibited in 1964-65. 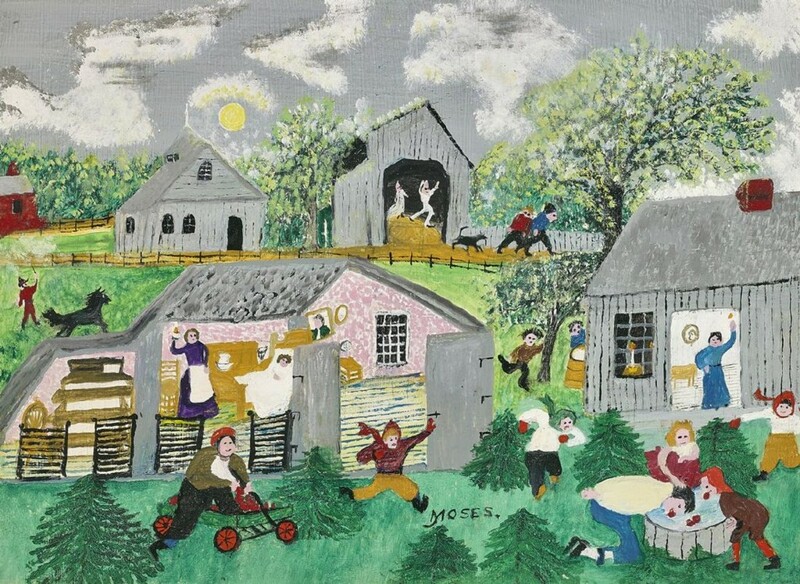 The five paintings are an oil on Masonite titled Baker Boy ($20/30,000), 1955; Over the Lake, from 1953 ($15/25,000); Baking Bread, 1955 ($15/25,000); Oxen, 1958 ($15/25,000); and Halloween, 1958 ($30/40,000). 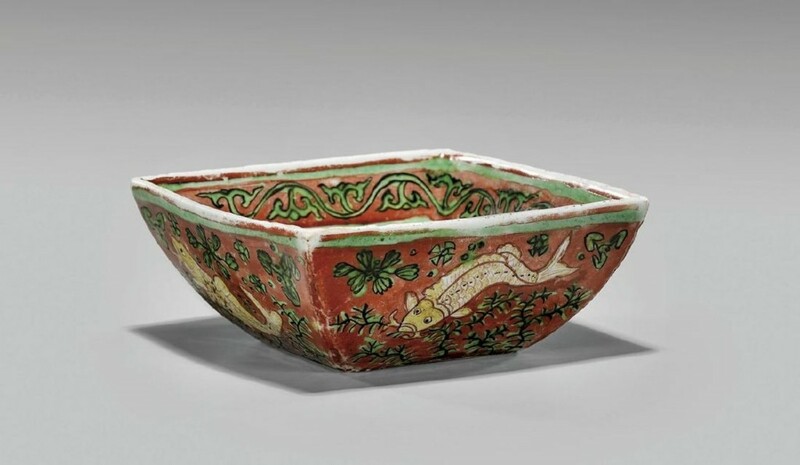 The auction also includes fine Asian arts, including a Chinese Ming Dynasty Jiajing Wucai porcelain bowl in square form, having the Jiajing mark and of the period, 4 ⅞ inches ($40/60,000); and a large oil on canvas still life floral painting by Le Pho (Vietnamese-French, 1907-2001), circa 2000, 57 by 37 ¾ inches ($18/22,000). Other star lots include an important Egyptian carved serpentine ushabti inscribed for Paser, 19th Dynasty of typical mummiform, having its features carved in a serene expression ($8/12,000); and a vintage Cartier 14K yellow gold box in rectangular form, 259 grams ($8/10,000). For more info, click here. Three fine art auctions will be held by Leslie Hindman Auctioneers on May 23rd and 24th, online and in the firm’s Chicago gallery. A Post-War & Contemporary Art Sale on May 23rd will feature over 200 paintings, works on paper, photography and sculpture. Highlights include a Tom Wesselmann liquitex on bristol board, Bedroom Blonde with Green Wallpaper #1, 1985 (est. 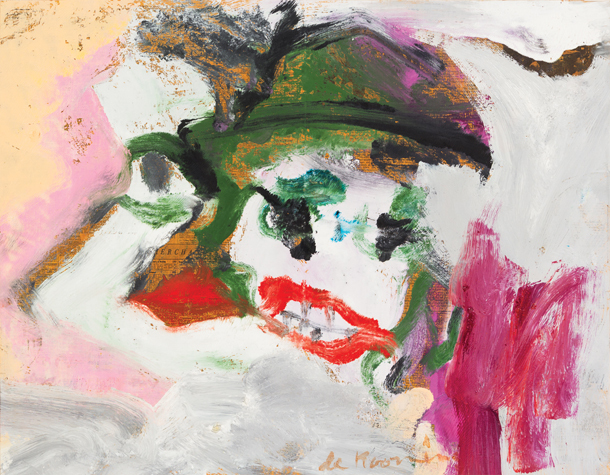 $100,000-$150,000); a Willem de Kooning oil on newsprint laid to canvas from 1977 (est. $80,000-$120,000); Ron Gorchov’s Procession (est. $50,000-$70,000); and a sculpture by Louise Nevelson, Night Zag XVII, 1973 (est. $50,000-$70,000). The May 23rd Fine Prints auction will immediately follow, with over 300 lots, including examples from the 16th century through the contemporary. 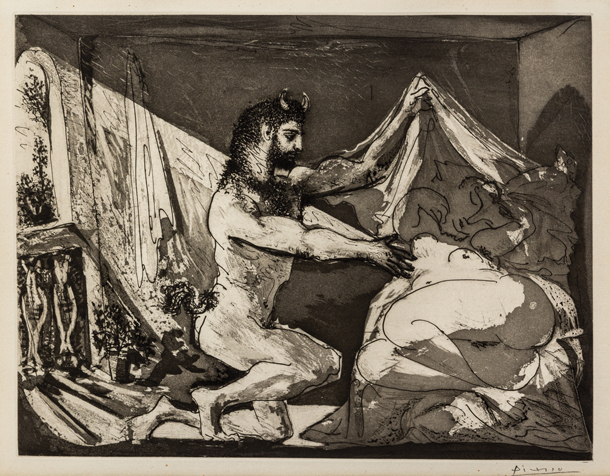 Highlights include Picasso’s Faune dévoliant une femme, (est. $40,000-$60,000); Mary Cassatt’s In the Opera Box (est. $30,000-$50,000); and Love by Andy Warhol (est. $30,000-$40,000). An American and European Art Sale on May 24th will feature Les Fleurs de Paris by Louis Marie De Schryver (est. $150,000-$250,000); Ruins at Sunset by Jasper Francis Cropsey (est. 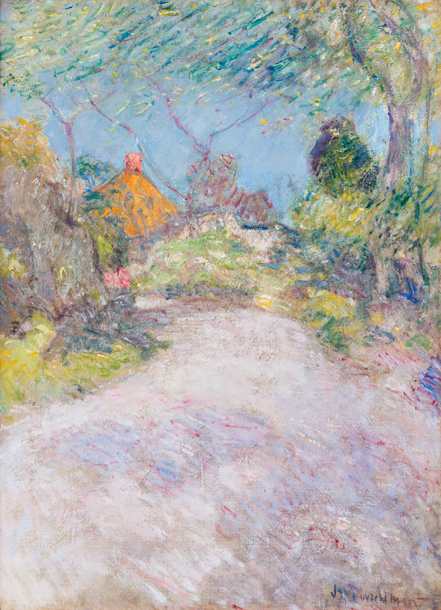 $80,000-$120,000); and John Henry Twacthman's The Back Road, estimated at $80,000-$120,000. To view all items being auctioned, click here.